A review of Tony Williams new book by Kelly Mielke, Journal of the American Revolution. "Alexander Hamilton fever has certainly swept the country and revived the American public’s interest in Hamilton and the other Founding Fathers. Individuals who perhaps at one point showed little special interest in the founding of the country are reading history books and absorbing everything Hamilton. Although a great deal of scholarship has been done on Hamilton and his life and times, Ron Chernow’s tome stands out as the go-to volume for those who thirst for Hamilton—until now, that is. Tony Williams, author of Hamilton:An American Biography, steps in to provide a volume for those who need more Hamilton in their lives but are not yet ready to tackle Chernow’s biography. Recognizing Chernow’s work as worthy of its place as a staple but also a massive undertaking that requires great dedication, Williams sought to provide a biography of the Hamilton essentials geared toward a popular audience that is likely to shy away from an intimidatingly large book but are much more likely to pick up a slender volume. Arguing that Hamilton maintained an unwavering lifelong devotion to American principles, Williams chronicles Hamilton’s life from his beginning in West Indies to his death by duel in 1804. Although quite concise, Williams covers all aspects of Hamilton’s public service, including his Revolutionary service as Washington’s aide, his work in ratifying the Constitution and as Secretary of the Treasury, and his continued efforts to maintain the new country in the face of foreign and domestic threats. 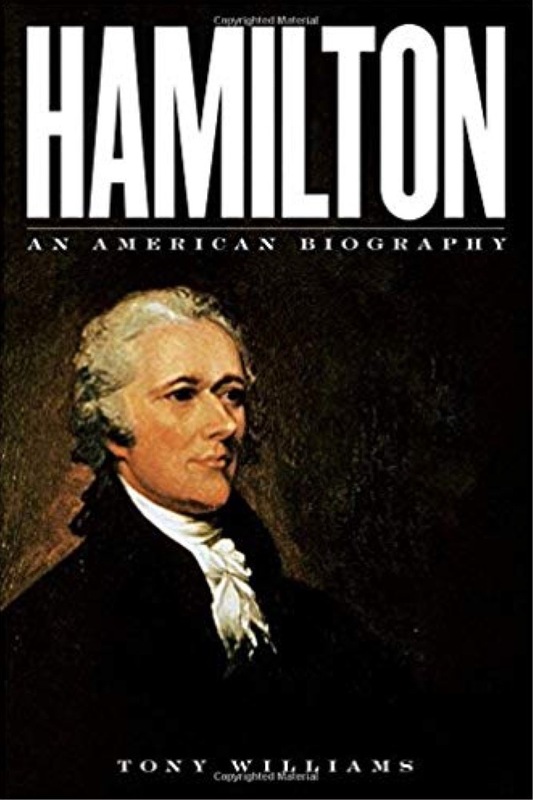 Offering a balanced view of Hamilton, this book presents a man who completely devoted himself to American principles and consistently acted out of motivations for the public good, even if he at times made flawed decisions. Hamilton’s devotion to principles of liberty remained constant from the time he arrived as an immigrant in New York, where his connections involved him in the Revolution’s roots. As the conflict launched Hamilton advocated American liberty, always with an eye toward maintaining honor, a principle that proved to be a key motivator in his decisions. After the initial shots fired at Lexington and Concord propelled Hamilton into supporting the American cause, his devotion to national honor informed the agendas for which he advocated through the rest of the Revolution, carried him through his fast and furious writing of the Federalist essays, and continued to inform his plans to develop America into a nation that reached its full potential. Williams presents Hamilton as a man who deserves to be in the spotlight not because of a prominent Broadway musical, but because his contributions warrant his consideration as a central Founding Father. 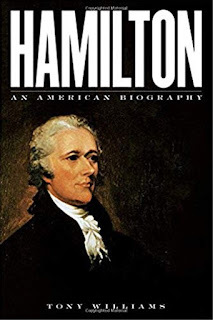 As this book makes clear, many of Hamilton’s agendas that his fellow Founders considered controversial can be explained by his devotion to his principles. Although his nemeses loved to accuse Hamilton of having monarchical tendencies, Hamilton pursued the type of government that he felt necessary to allow American liberty to flourish. This included, much to the chagrin of some contemporaries, acting justly toward Tories who remained in America and maintaining a close relationship with England. 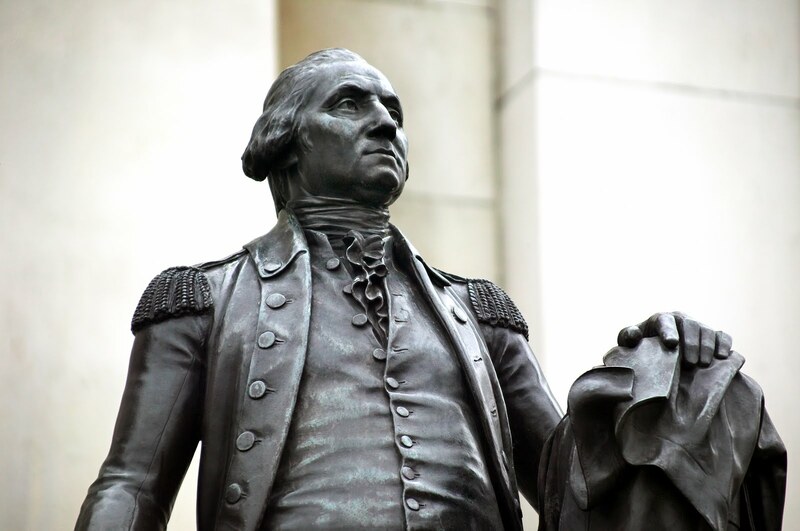 Building a successful national foundation similarly motivated Hamilton to advocate the assumption of public debts and the establishment of a national bank. Meanwhile, as Hamilton worked to build a strong America, he held realistic viewpoints concerning the new country’s vulnerable position. Once again adopting viewpoints that proved controversial among his contemporaries, Hamilton supported Jay’s Treaty—not as an advocate of war, but rather an advocate of neutrality in accommodation of America’s weak state. Hamilton’s contemporaries often perceived the worst-case scenario for his agendas, when in fact, as Williams asserts, Hamilton concerned himself with acting in the best interest of the country as a whole with consideration of both its present and future states. While Williams convincingly demonstrates that the principle of honor and devotion to American principles propelled Hamilton’s life and influenced every facet of his public service, he also provides a balanced consideration of the man and his work and acknowledges Hamilton’s occasional tendencies to act irresponsibly and irrationally. One of the most infamous examples of this facet of Hamilton’s personality is the affair with Maria Reynolds and the aftermath of the puzzling sordid, detailed pamphlet Hamilton himself published. Williams asserts that Hamilton’s public reaction in the affair’s fallout provides evidence for Hamilton’s devotion to national honor even above his own very prized personal honor—personal pain and suffering must be put aside for the preservation of national honor. Even as Hamilton blundered his way through the election of 1800 that caused bad blood between himself and Aaron Burr he remained primarily concerned with the welfare of the nation and tried to uphold his exacting standards. Overall, Hamilton: An American Biography provides an engaging and accessible narrative that gives an overview of Hamilton’s life placed within the context of his times. Williams achieves a good balance between delivering an accurate historical account and tackling misconceptions about Hamilton while at the same time creating an account that is not overwhelming for readers who are new to Hamilton and the Founders. The popular style in which the book is written differs from the usual style of historical non-fiction, particularly in Williams’ choice to modernize and not cite quotations, pointing readers to his other work for that information. The audience for which the book is written probably will not mind, but readers more grounded in historical scholarship may find it slightly inconvenient and certainly unusual. Providing an excellent foundation for those just beginning a journey with the Founding Fathers and a pleasurable read for long time students of the period, this book deserves a place on the bookshelf of any Hamilton enthusiast."